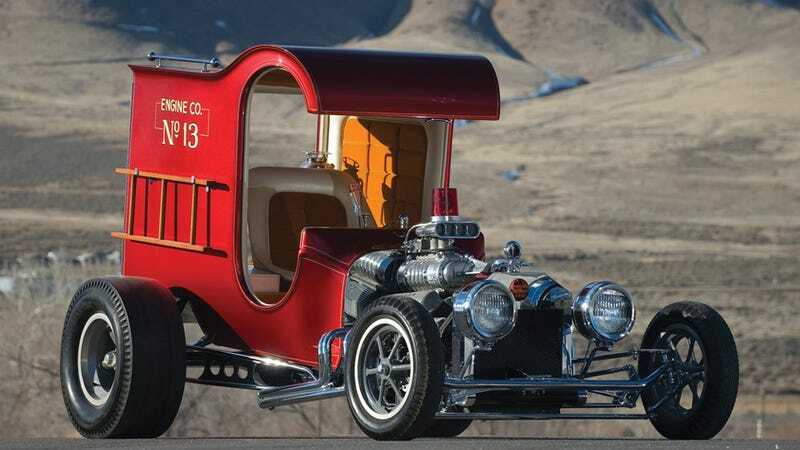 Not only did the Ford C-cab Fire Truck seen here win the coveted Ridler award at the 1968 Detroit Autorama, it remains one of the best known "show rods" built the late 60s and early 70s. Builder Chuck Miller will be with the C-cab when it crosses the block at the Fall Auburn auction held by Auctions America in September. This vintage show rod was last auctioned two years ago with an amazing assortment of vintage hot rods and customs at RM's Icons of Speed and Style auction where it sold for $90,750.